Disney has been putting a lot of effort into creating an enticing ensemble for their live-action re-imagination of The Jungle Book. The latest addition to the cast is a pair of heralded and established performers. Academy Award winner Christopher Walken (The Deer Hunter) has signed on along with Giancarlo Esposito, who earned an Emmy nomination for his work as Gus Fring on the highly-acclaimed TV drama Breaking Bad. Director Jon Favreau has pulled together an incredible cast that not only includes Christopher Walken and Giancarlo Esposito, but also Scarlett Johansson, Idris Elba, Lupita Nyong'o, Ben Kingsley and newcomer Neel Sethi. Disney first adapted Rudyard Kipling's novel about a boy raised in the jungle back in 1967, as a cartoon musical. Favreau's version will replace the hand-drawn animals for computer-generated ones, who will likely have a photo-realistic look. 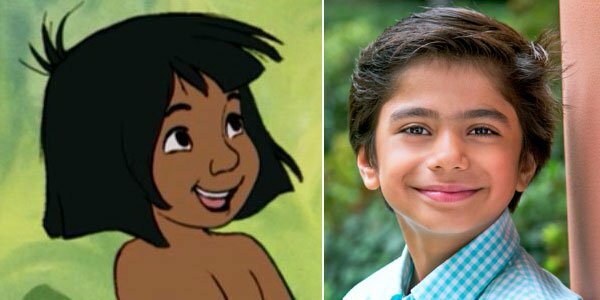 Only Neel Sethi will appear in the movie in the flesh, as he plays the lost boy named Mowgli. With so much of the ensemble assembled, we though it'd be fun to look at this new Jungle Book's cast next to the characters they will be bringing to life from the animated version. 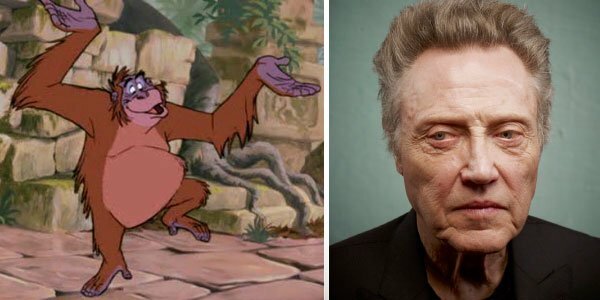 First up, Christopher Walken is set to play King Louie, who--voiced by Louis Prima--memorably sang, "I Wanna be Like You," in the 1967 version of the film. 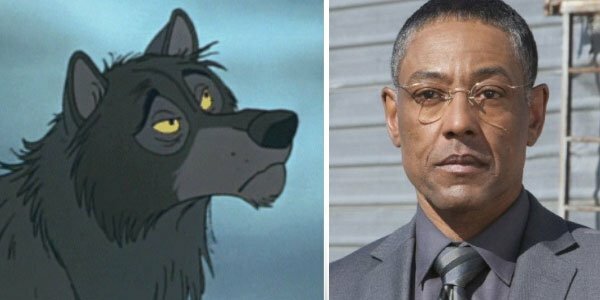 In the new Jungle Book, Giancarlo Esposito will lend his voice to Akela, the leader of the wolf pack who takes in the abandoned Mowgli. 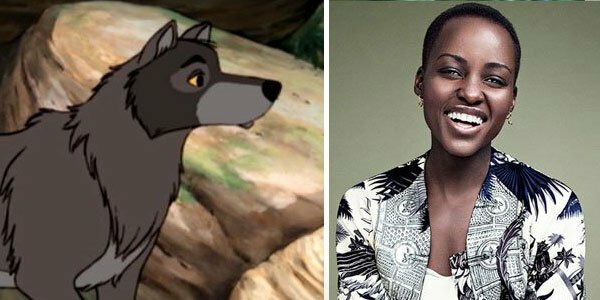 Lupita Nyong'o, who broke through with her debut role in 12 Years a Slave to Oscar accolades, will play Mowgli's adopted mother, a wolf called Rakcha. 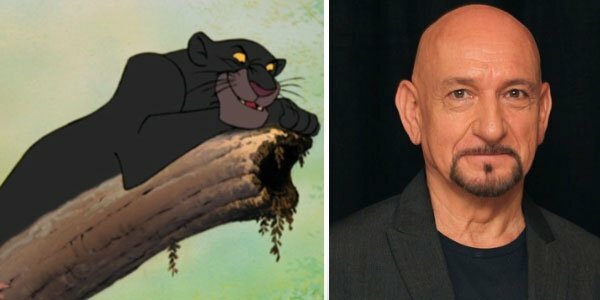 Ben Kingsley will channel his intensity into the role of the black panther Bagheera, whose voice in the orginal book is described as "as soft as wild honey dripping from a tree." 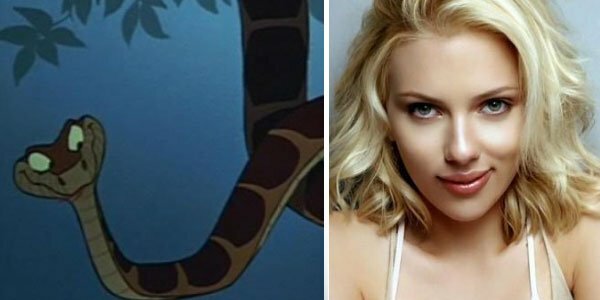 In an unexpected but clever move, Scarlett Johansson was cast as Kaa. Voiced in the animated movie by male voice actor Sterling Holloway, the hypnotizing snake will have an added and sultry appeal coming from the actress who sold Her with her voice alone. 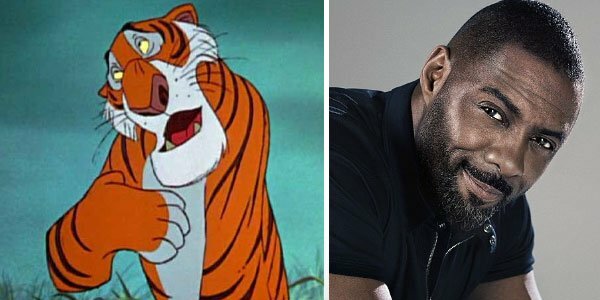 Idris Elba will bring his thunderstorm of a voice to the cunning and killer cat of the jungle Shere Khan, a role voiced by George Sanders in the animated movie. And last but not least is little Neel Sethi as Mowgli, the hero of our adventure, whom was voiced by Bruce Reitherman back in 1967. There's one notable absence in the cast so far: Baloo the Bear. Originally voiced by Phil Harris, the character was spun-off into his own series TailSpin, and became a much-beloved character for kids of the '90s, as well. So where is he? We'll give you more on The Jungle Book's casting as it develops. The Jungle Book will open on October 9th, 2015.